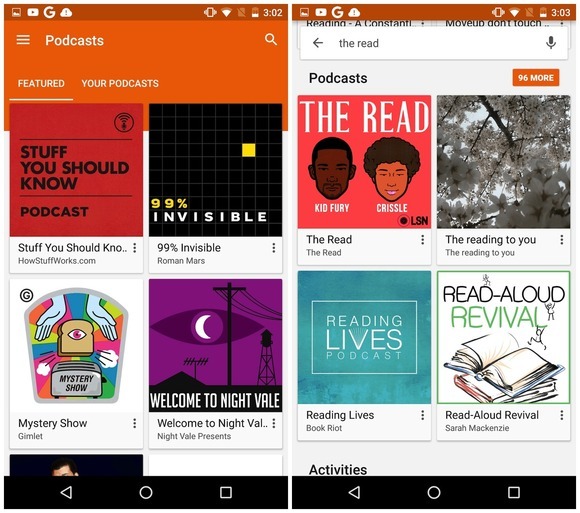 Exciting news this morning as Google announced that Google Play Music was getting one little bit better: Google is rolling out podcasts for the Play Store. Google promised that it would give us podcasts back in October. Today, that feature just went live for some users. As you can see in the screenshot at the head of this article, podcasts have already been spotted on the Play Store. the podcasts look exactly how you’d expect, separated into a “Featured” section and a “Your Podcasts” section. The update is server-side, which means that even if you downloaded the latest version of Play Music right now, you’ll still have to wait for Google to roll out this update specifically to you. Podcasts were always one advantage that iTunes had over the Google Play Store. Sure, there were third party podcast apps, but they were annoying and unwieldy. With the Google Play Store adding podcasts for real, it should be easier than ever to catch up on whatever you like – from Serial to This American Life to the Jay & Dan Podcast.